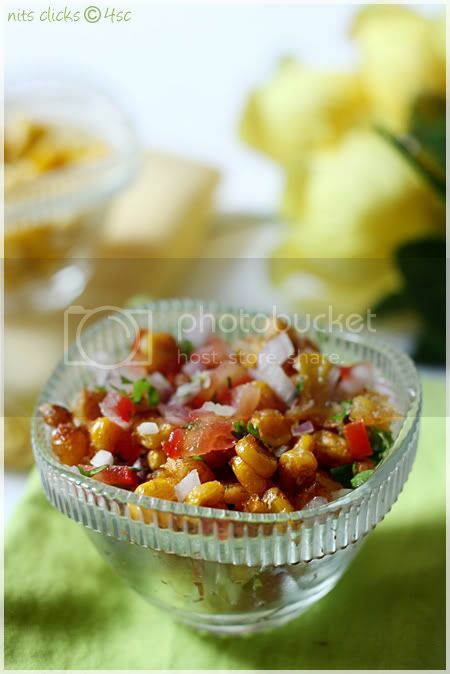 Crispy corn and cup corn popped up instantly in my mind when I was trying to recollect all my favorite chaats. Pressure cook the corn cobs for about 5 long whistles in salt water. 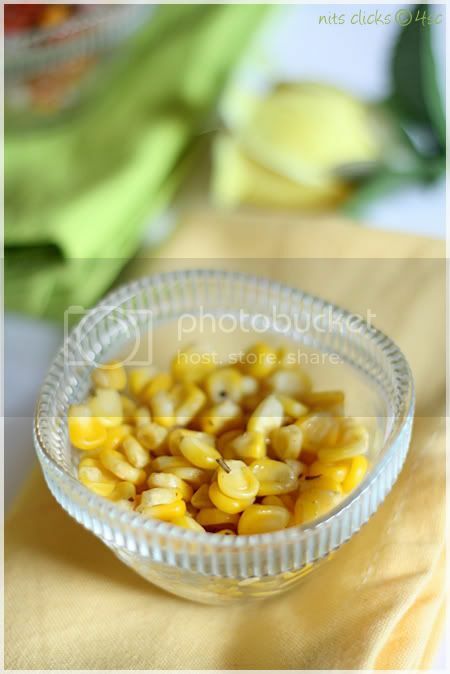 Remove the cobs from water and shred the corn kernels and collect them on a flat plate. Mix corn flour, rice flour, chilly powder and some salt together and sprinkle this mixture on the shredded corn kernels. Spray few drops of water and mix them nicely with your hand so that the corn kernels are coated nicely with the powders. Heat oil in a wok and deep fry the corn kernels in medium flame until golden color. The corn kernels would become really crisp. Once fried, collect them on a tissue to remove excess oil. They might have got grouped together while frying, separate them using your hands. Chop onion, tomato and coriander leaves finely. Now mix the chopped vegetables and the fried corn in a bowl. Add a pinch of salt, chaat masala and lemon extract and mix well. Do not add more than few drops of water while mixing in the rice and corn flour to the corn kernels. More water would cause you trouble while deep frying. Serve it as soon as it is done. Eating it crisp is the punch of the dish. 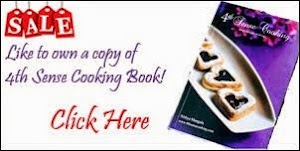 You can use canned sweet corn as well. 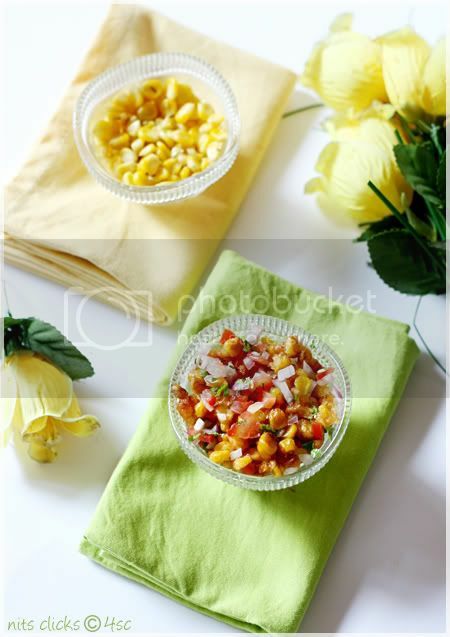 Sweet corn is the best choice for these two chaats than the normal corns. Pressure cook the corn cob in salt water for 5 whistles. Remove the cobs from water and shred the corn kernels and collect them in a microwave safe bowl. Add the butter, mixed herbs and salt to it and mix well. Mixed herbs are easily available in supermarkets. There are a wide choice of brands as well. You can use the herbs of your choice to make different flavors of cup corn. 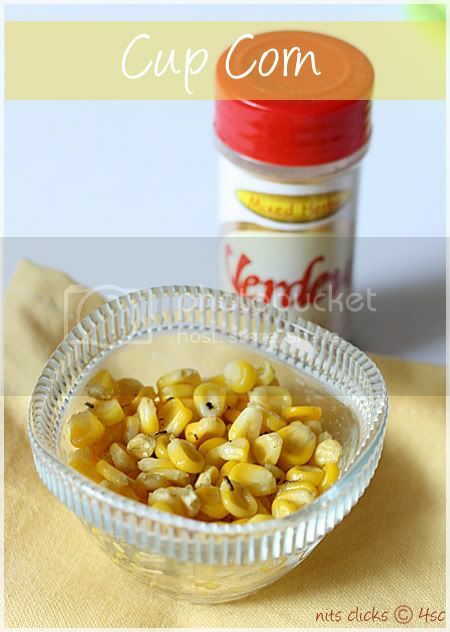 You can mix in spices like pepper or chilly powder to the cooked corn kernels too. Hey I thought you will be doing a mela for me!!.. :) and how mean you should be doing all this after all I asked? ?..looks so yum..loved pani puri pictures ..
Cup corn are always my fav, both chaats looks simply inviting and fabulous..
Crispy corn sounds new to me. Should try for this weekend?Will this dish absorb more oil? Corn chat loos tasty and inviting.. I love cup corn,crispy corn sounds so so yumm! I've never had crispy corn, but it looks worth a try for sure. Can finish the whole cup in a jiffy,lovely. wow..beautiful pics and the crispy corn looks delicious!! Looks so spicy and delicious! Excellent pics! 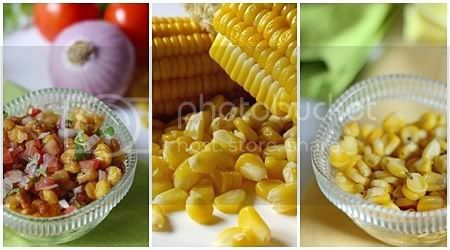 Crispy corn and cup corn looks yummy, fabulous clicks! I love corn very much !! 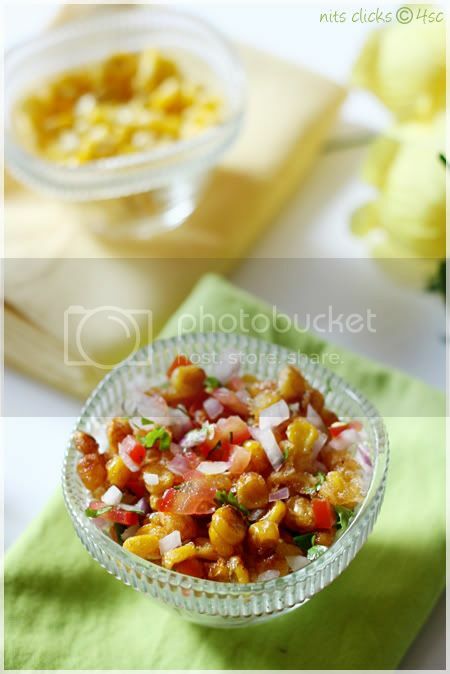 Both the corn chaats looks tempting and delicious !! I m not a steamed corn person,I always love grilled version of it...but this crisp corn I have never encountered in any chaat place..is dis ur creation or u get that in chennai? Liked the shallow depth of field.Great recipe. Mouthwatering Chats.. 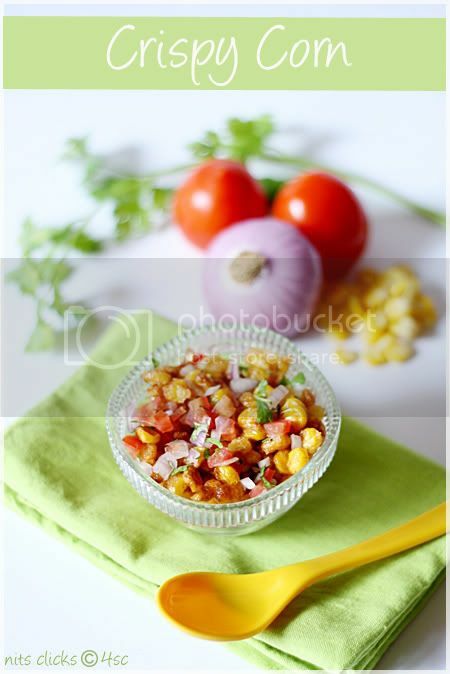 I can never say no to it.. Grt pics..
Never tried crispy corn. Usually I make sweet corn which we get from the stalls and my kid also loves this a lot. Lovely pics Nits.